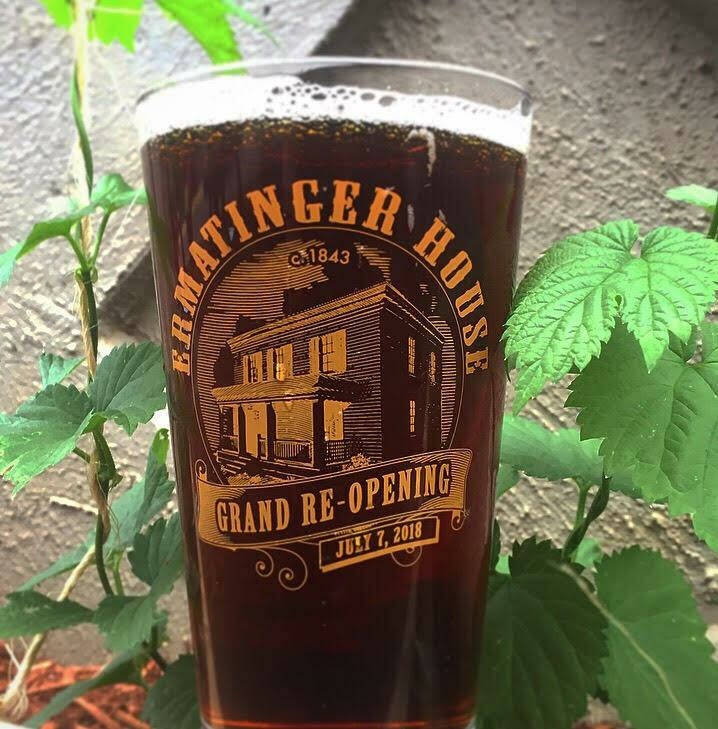 One of Oregon’s pieces of its storied history will be re-enacted in Oregon City today, Saturday, July 7th at the Ermatinger House as it coincides with the release of Ermatinger Dark Lager from Coin Toss Brewing. Back in 1845 the naming of the city that would become Portland, Oregon took place during a dinner party in Oregon City. The choices were either Boston or Portland and the family from Portland, Maine won out. Today the storied Ermatinger House is re-opened in Oregon City and relatives of namesake pioneers Francis Pettygrove and Asa Lovejoy will be on hand for a re-enactment of the historic coin toss that resulted in the naming of the City of Portland. Here are additional details on today’s historic reenactment. The event, which will take place from 12 p.m. to 4 p.m., is part of a celebration marking the the grand re-opening of the Ermatinger House, at 616 6th Street, where the Portland versus Boston coin toss took place, reportedly during a dinner party in 1845. Pettygrove––from Portland, Maine––and Lovejoy––from Boston, Massachusettes––were arguing whether their land claim down the Willamette River should be incorporated as Boston or Portland. The two decided on a coin toss in which Pettygrove won two out of three, and the rest is history. In addition to the coin toss re-enactment, Saturday’s event will feature guided tours of the house, live music, kids activities, a food cart and a special craft beer. Oregon City-based Coin Toss Brewing, named after the historic event, will be serving “Ermatinger Dark Lager” in a limited-edition pint glass commemorating the celebration. The two-story Greek Revival Ermatinger House is one of the oldest standing structures in the state of Oregon. It underwent extensive renovations in 2015 and will now be open to the public each Friday and Saturday. Ribbon cutting at 12:15 p.m. Coin toss re-enactment at 1:15 p.m.
More information is available at https://www.orcity.org/communityservices/ermatinger-house-grand-opening.